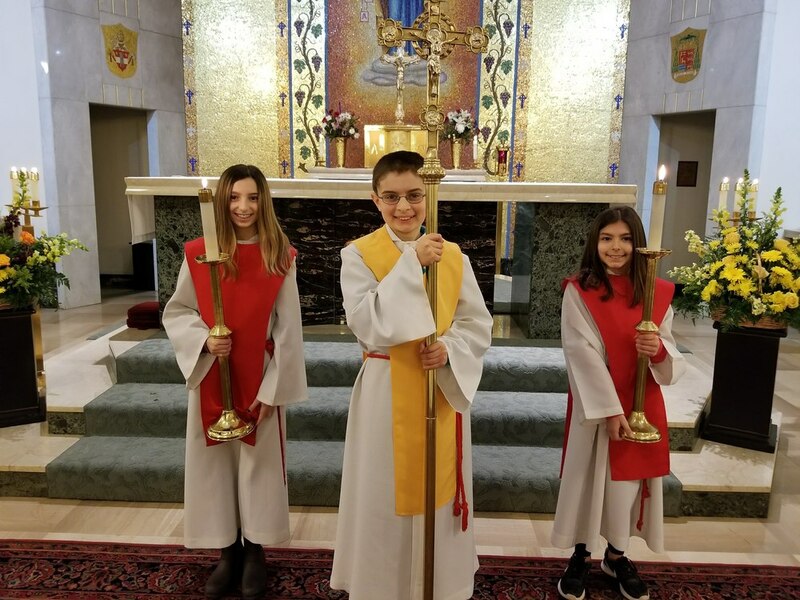 This group of servers that assists at daily Mass and during other special liturgies, including funerals, aids and supports the priests and deacons during the liturgy, while also providing a prayerful example for the others in attendance while helping to promote a solemn liturgical environment. This group of boys and girls have the opportunity to assist our priests and deacons at Mass and other church liturgies. All those who have received their First Communion are welcome to become altar servers.